I ordered a couple of fun, functional sci-fi props from ThinkGeek today. These are high-quality die cast replicas, suitable for use in the RETROvan. 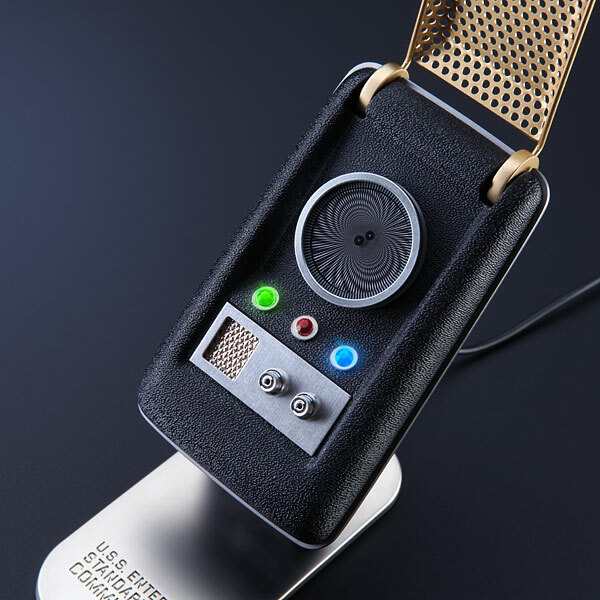 This is a Star Trek: TOS Communicator that doubles as a Bluetooth flip-phone. It pairs with an iPhone and works as a speaker phone, in addition to producing accurate sound and visual effects. 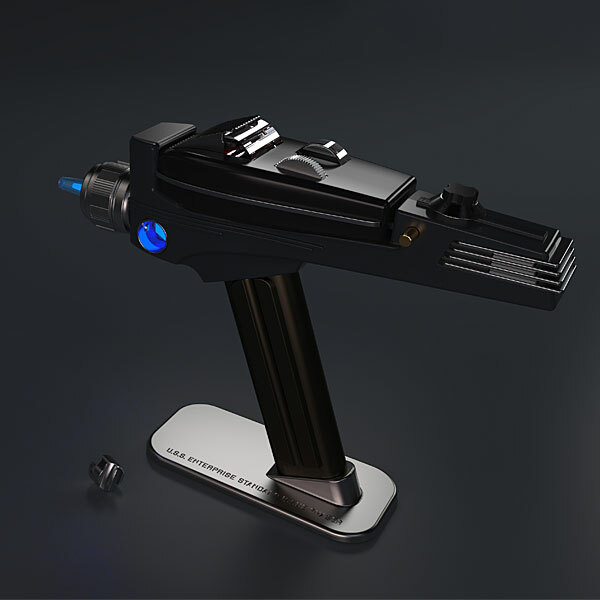 And this is a Star Trek: TOS Phaser that doubles as a universal TV remote control, in addition to producing authentic sights and sounds. Speaking of clever: After Olivia told me about a HAM radio licensing course at her work, I’ve decided the RETROvan needs a radio. You know, for the Zombie Apocalypse. So I’m shopping for a good dash-mount radio that also doubles as a police scanner. This might fit nicely in the helm, in the middle above the iPad mount. This evening, working under the aft light bank, I finished up the insulation in the front two ceiling cavities. This took forever, and I made plenty of mistakes because there were so many obstacles to work around. I’m also starting to hate this Velcro. It came in 15-foot roll but it’s hard to cut and it winds up getting tangled and stuck to itself. In the end, ceiling panels T1 and T2 have three pieces of rigid foam in each cavity, criss-crossed by electrical cables sandwiched between the insulation and the aluminum panel. There’s a half-inch gap to allow future cables to be run without removing the foam. I’ll post photos tomorrow once those last two ceiling panels and the TV mount are reinstalled.